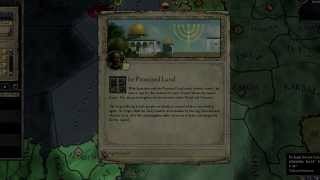 Crusader Kings II: Sons of Abraham is the fifth expansion for the critically praised strategy/RPG , focusing on the Abrahamic religions; Christianity, Islam and Judaism. 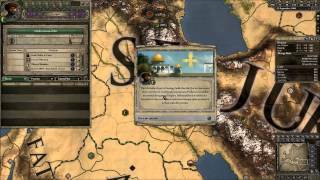 Crusader Kings II: Sons of Abraham is the fifth expansion for the critically praised strategy/RPG , focusing on the Abrahamic religions; Christianity, Islam and Judaism. Get your bishops appointed cardinals and tap the might of the Papacy, borrow money from the Knights Templar and send troublesome relatives off to live out their days in a monastery. Sons of Abraham also introduces the Jewish religion and allows you to recreate the Kingdom of Israel and rebuild the Temple in Jerusalem. This expansion for Crusader Kings II explores one of the defining periods in world history in an experience crafted by Paradox Development Studio, the masters of Grand Strategy. Control the Papacy through the College of Cardinals. Ask the Pope for money and favors. 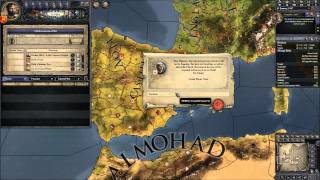 Play as a Jewish lord and restore the kingdom of Israel. Interact with the Holy Orders and see their influence grow. Pick sides in Islam as a rationalist Mutazili or an opposing Ashari. Retire troublesome courtiers to a monastery. Go on a pilgrimage to one of the holy places. Experience hundreds of new religious events.